Double decker carousel, also called double decker merry go round which refers to the carousel amusement rides with two layers. We have more than 6 double decker carousel rides for sale in our factory for our customer from Australia. Welcome to Beston Amusement Equipment to buy double layer carousel rides for your park. The double decker carousel is a large amusement rides for family trip in the amusement parks. It composed of up and down stories with deluxe and ornate design and decorations that compared to the single decker carousel rides. Double layer carousel rides could carry twice passengers than the single decker carousel, this will save more space for your business to install more amusement park rides and bring more profits. Beston mainly produces 36 and 48 seats double deck carousel rides. 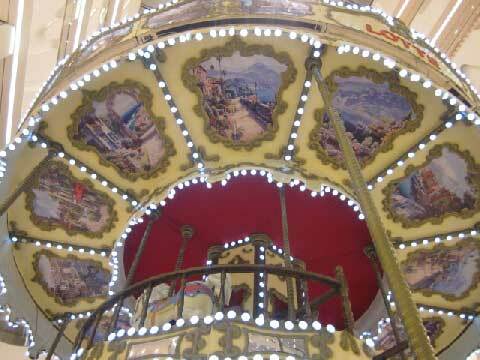 Except for 36 and 48 seats carrousel, we also produce 38 and 68 seats carousels. Our 68 seats double decker luxury carousel is an upper and lower floor separate rotation rides. The double layer carousel could use decorative panels, grand ceilings. The inside board is inlaid with color relief. Tops of the crown spire straight into the crowds with colorful led lighting. 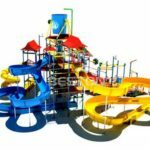 It is one of the essential recreational projects in the amusement parks. Double decker carousel is suitable for kids and adults in all age groups. Kids and adults will love riding on the interesting horses and other animals. Except for horses, double decker carousel rides also take tigers, giraffes, pigs, dogs and lions as their seats. Kids could go upstairs to enjoy more carousel animals on the second floor. Except for the animal’s seats, we can also add some carriages on the carousel. Adults and kids could choose their preferable seats to enjoy the whole trip. About the rotating direction of these double floor carousel rides. The first floor carousel and the second floor can go to the same direction, they can also go the opposite direction. If the first floor running in clockwise, the second floor will running with anticlockwise. Additionally, the rotating direction can be controlled by people. 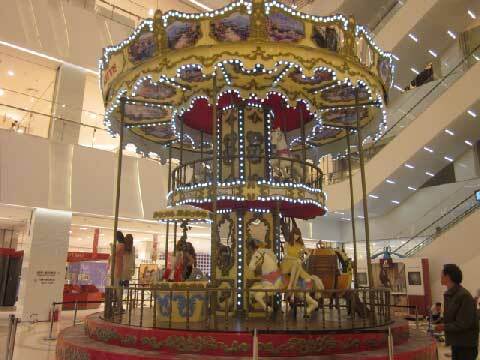 Beston double floor merry go round carousel rides is often designed with a ribbon, non-slip floors or aluminum tread. Double decker carousel looks more attractive to kids than the single decker carousel rides. They will attract more kids. Beston amusement, as a large amusement rides manufacturer, has exported 5 sets of carousel to large theme park and amusement parks in Australia.